In the Fall, Saturdays and Sundays start early. Our weekend loyalties of recuperating from a busy work week shift towards hours upon hours of talking about/watching football. This ritual can take place a house, an RV or in the back of our cars. It can take place with a small group or an entire community. Everyone has their own way to “tailgate” but all have the same common goal: to spend the day with family, friends, great food, beer and football, and usually make some new friends in the process. Our adherence to this tradition never seems to falter with each passing season. And although the camaraderie the tailgate brings us each weekend is a constant, the details are always changing. Enter ‘boatgating‘- an innovation to the American Tailgate that is achieved by simply taking the fun out on the water. 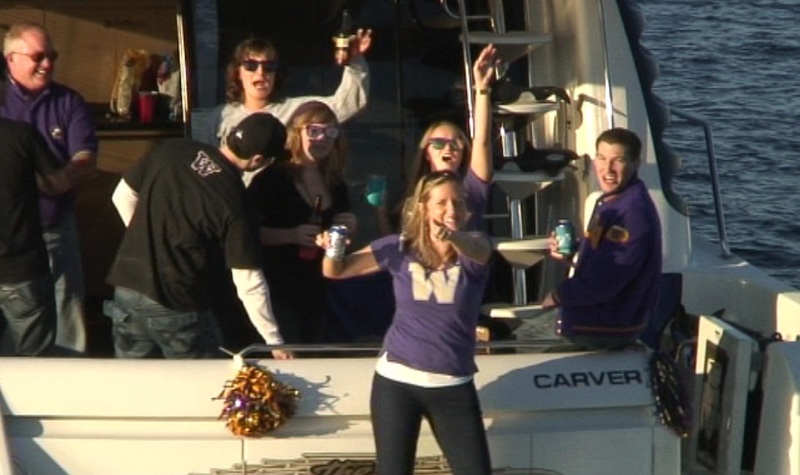 No one has perfected the art of boatgating better than University of Washington fans. The morning of a home Huskies game, Union Bay is taken over by all types of water vessels. They come on charter boats, luxury yachts and smaller vessels, in sailboats, motorboats and speedboats, even boats coated in purple paint. Thousands of purple-clad fans congregate at the stadium’s east end. Once docked or anchored, the party begins, which includes all the quintessential elements of The American Tailgate, just with a little twist. Although most stadiums are not water-accessible, we still have great boatgating potential, particularly in Florida’s beautiful waterways. We have some tips for you to spice up your first, or next, boatgating experience. Choose meals that are as pre-prepared as possible. Cut, bag and pre-measure anything that can be done this way ahead of time. Grilling is possible with a special boat grill that attaches to the railing. When carrying provisions (especially hot items), always leave one hand free to hold onto the boat. Use a bucket or deep pan as a tray to carry open items like cups of hot chocolate from the galley. Some captains will allow a portable grill to be used onboard, with the correct safety precautions. For some tips and recipes see the web site How to Cook on a Boat. Did we leave anything out? We want to hear from our seasoned Boatgators out there! 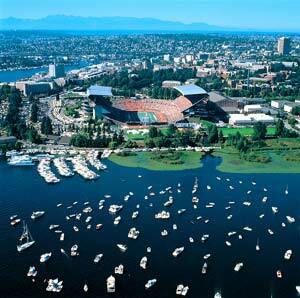 Also feel free to post your favorite boatgating picture on our facebook wall.